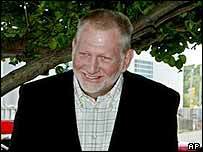 Oklahoma has dropped criminal charges against Bernie Ebbers, former chief executive of bankrupt telecoms company WorldCom. A spokesman for state Attorney General Drew Edmondson said his office will refile the charges, possibly in March. The "strategic" move is in deference to federal prosecutors who are also investigating the company. Oklahoma charged WorldCom, renamed MCI, Mr Ebbers and five former executives with violating state securities laws. WorldCom filed for the US' largest bankruptcy in July 2002 following an accounting scandal which is now thought to have reached $11bn. A court on Wednesday rejected Edmondson's request to delay Mr Ebbers' 1 December preliminary hearing until after the federal trial of former WorldCom Chief Financial Officer Scott Sullivan, which is set for February. Prosecutors in New York had asked Mr Edmondson that the federal case precede the Oklahoma state trial. The Oklahoma case marked the first criminal charges against Mr Ebbers, who has pleaded not guilty. Mr Edmondson said: "We have an agreement with United States Attorney James Comey that we will not call any witnesses in our case until those people have testified in Scott Sullivan's federal trial. "I intend to honor that agreement. This dismissal is purely a strategic move, and I have every intention of refiling these charges early next year." The federal case against Mr Sullivan, WorldCom's former chief financial officer, is scheduled to begin in February 2004 in New York.